If you don’t eat meat, check out the USDA Vegetarian Pyramid for recommendations that will help you meet all your daily nutritional requirements. Because meat, poultry, and fish are not included in a vegetarian diet, the foundation of this pyramid is divided equally among fruits and vegetables, legumes — such as soybeans and peanuts, and whole grains. Vegetarians should include foods from these three groups at every meal. Nuts and seeds, milk or soymilk, and oils should be consumed daily, and eggs and sugars only occasionally and in small quantities. But dieters should remember that servings of nuts, seeds, and oils should be small, because they’re high in fat, and therefore, calories. 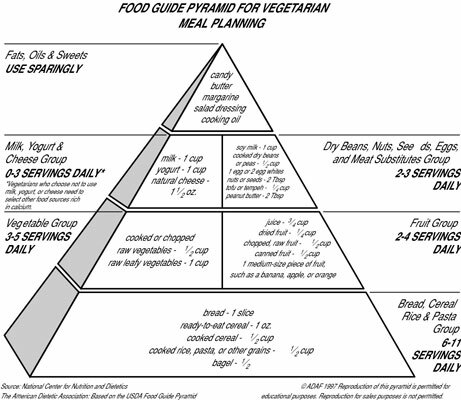 Have a look at the Vegetarian Pyramid. There are varying degrees of vegetarianism. 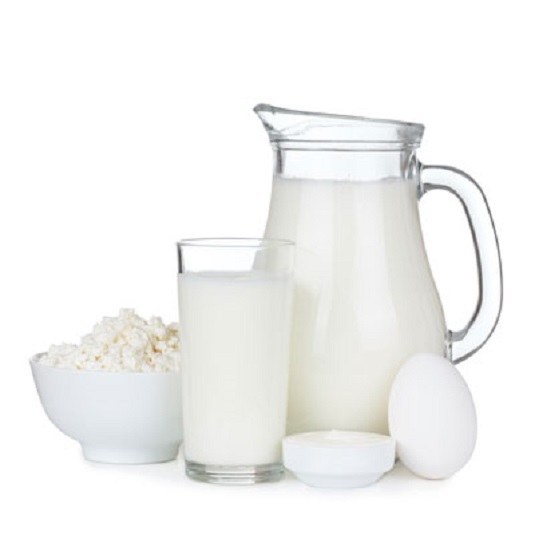 Lacto-ovo vegetarians eat dairy products and eggs and, as a group, usually meet their Daily Values for most nutrients. Vegans eat only foods of plant origin. Because animal products are the only food sources of vitamin B12, vegans must use supplements or eat breakfast cereals, soymilk products, and vegetarian burger patties that are fortified with vitamin B12. In addition, vegan diets require care to ensure adequate amounts of vitamin D and calcium, which are found in dairy products. Iron and zinc are often in short supply, too, because meat is a primary source of these nutrients in most people’s diets. Although there is some iron in many dark green vegetables, it is a form that is not readily absorbed. So, vegans must be especially diligent at making sure their choices include iron-rich foods.